Creating memorable and distinctive designs with a focus on exemplar built work. Twelve Architects was founded in 2012 and has experience in a wide range of projects including: masterplanning, commercial, residential, retail, hotels & leisure, transport, education, research, culture, and healthcare. Since its foundation, the practice has enjoyed a very successful few years, securing a range of exciting projects both in the UK and overseas. The second year turnover was a 148% increase on the first year and profits increased by 244% during the same period. Prior to setting up ‘Twelve’, the founding directors and senior team, worked together for international architectural and consultancy business both in the UK and Russia. This valuable experience and our established relationships helps create the DNA and strong foundation of Twelve Architects. Current projects include the new Rostov on Don Airport in southern Russia which was secured following an invited two-stage international design competition. 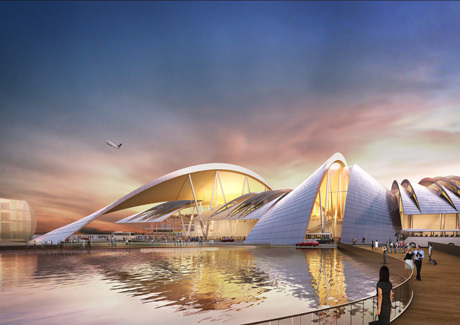 The concept for the airport terminal is inspired by the analogy that an airport is the ‘sky-bridge’ that connects cities and countries together. This is realised through the design of the roof which is formed from a series of elegant bridge arches. The expression of the three larger arches celebrate the principal routes for passengers when going through the arrival and departure process and also provide covered zones to the drop off and adjacent hotel and business centre. The airport is currently under construction and will be completed ready for the football World Cup in 2018. It is being developed by the Airports of the Regions division of the Renova Group, the largest airport holding company in Russia. In September this year the firm completed the design and delivery of ‘The Diamond’, an £81 million new Undergraduate Engineering Facility for The University of Sheffield. The project provides 19,500m2 of accommodation and is the largest single capital project that the University has undertaken to date. The design creates an environment that promotes new methods in teaching and learning and will support The Faculty of Engineering’s world class reputation. Other projects in the pipeline include several with developers and investment funds on a range of projects in and around London. 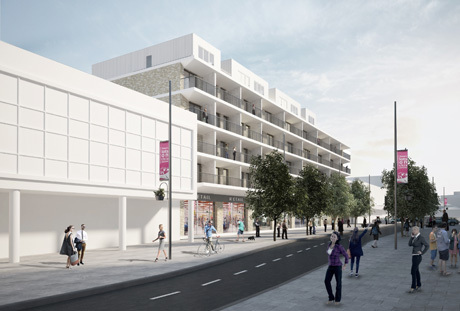 These include a new office headquarters development in London, and a series of mixed use retail and residential developments. The latest of these is a 78 unit residential development with ground floor retail in Crawley town centre which is the focal point of a larger regeneration plan; kick-starting much needed new investment to the area. Matt Cartwright, Director says, “Twelve Architects are proud to consistently offer a service that is personal to our clients. We enjoy collaborating with both clients and colleagues to make places that are special to the people living and working with them. We believe the design process should be inclusive, imaginative, creative and fun and our approach to all projects, regardless of scale or budget is to gain a clear understanding of the objectives and most of all aspirations of our clients”. “We have been with Goodman Jones since day 1 and we are hugely appreciative of the advice and support they have given us. In setting up and establishing a new business, it is fundamental that there is a solid financial base built on measured, experienced and focused advice which Graeme and his team have provided. Goodman Jones’ advice on taxation and structuring of payments of our overseas work has been pivotal in giving us the confidence to build our portfolio of international projects. We have developed our financial systems and protocols which Goodman Jones has audited, this has aligned us with our own client's protocols and gives new clients the necessary financial assurances to choose Twelve.